Derek joined UTS as a Visiting Fellow in August 2014 and is now Co-Director of the Centre for Media Transition. CMT is an interdisciplinary initiative of the Faculty of Law and the Faculty of Arts and Social Sciences, launched in July 2017. 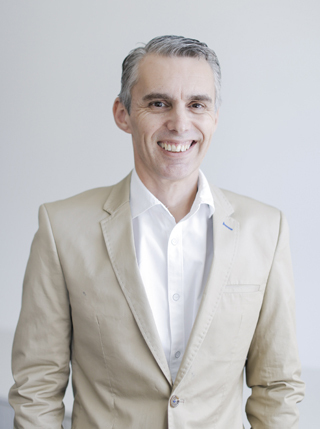 Derek came to UTS from an industry-based position as Executive Director of the Australian Press Council. He worked closely on the Council’s responses to the Independent Media Inquiry and the Convergence Review and on the adaptation of the Council’s structure and governance to embrace smaller, digital-only publishers. As Executive Director, he led the Council’s complaints-handling functions and worked with the Chair and members on a review of the Council’s standards of practice. Before this, he worked for the Australian Communications and Media Authority where he managed the implementation of the federal government’s media ownership reform package and the resulting commercial transactions. He also managed the ACMA’s monitoring and compliance activities on disclosures rules for commercial radio, as well as other content rules such as the anti-siphoning sports list, pay TV drama expenditure and the anti-terrorism standards for narrowcast television. Derek finished his time at the ACMA by managing an operational policy team dedicated to complex regulatory problems spanning the legal and engineering spheres, including the transition to digital television. From 2000 to 2005 Derek was the Director of the Communications Law Centre at UNSW. He taught media and communications regulation, conducted research and led the Centre’s policy work on issues such as media diversity, cash for comment and telecommunications consumer protection. He has also worked for the Office of Film and Literature Classification and the Media, Entertainment and Arts Alliance. Wilding, D & King, I 2018, 'Reviewing the Layered Model', Intermedia, vol. 1, no. 46, pp. 13-17. Reform of Australia's media ownership rules has been under discussion for several years, with at least some aspects supported by the previous Labor governments as well as by the Turnbull Liberal government. The prank call in 2012 by two Sydney radio presenters who tried to speak to the Duchess of Cambridge was followed by the death of nurse Jacintha Saldanha. The prank prompted a long-running investigation by Australia's broadcasting regulator, the Australian Communications and Media Authority, into the decision to record and broadcast, without consent, conversations with Ms Saldanha and another nurse. In a unanimous decision, the High Court of Australia has held the ACMA did not require a prior decision of a court in order to find the licensee, Today FM, committed an offence under surveillances devices legislation. This has cleared the way for the ACMA to find Today FM breached a condition of its licence. With the investigation report now on the public record and the ACMA contemplating enforcement action, the matter reveals deficiencies in the industry-based codes of practice. Wilding, D 2003, 'The House, The Senate and the Media Ownership Bill: An 'Unacceptable Three-Way Control Situation? '', Media International Australia, vol. 108, no. 1, pp. 115-124. Over the past year media ownership and control have been at the forefront of media policy debates in the United States and the United Kingdom. In Australia, the Media Ownership Bill was debated — and defeated in the Senate — in the last week of June. The Bill seeks to remove many of the regulations on ownership and control in the Australian media. It is expected to return to the Senate later this year and has been lipped as one of the handful of triggers for a double dissolution. In this article Derek Wilding provides an outline of the Bill following a number of recent amendments, as well as the key policy issues and points of contention in this long-running debate on diversity, convergence and media influence. Wilding, D, Fray, P, Molitorisz, S & McKewon, E 2018, The Impact of Digital Platforms on News and Journalistic Content, University of Technology Sydney, NSW. The report was commissioned by the Australian Competition and Consumer Commission as part of its Digital Platforms Inquiry. The inquiry has been described as a world-leading investigation into the effects of digital search engines, social media platforms and other digital content aggregation platforms on competition in media and advertising services markets. To assist the ACCC, the CMT was commissioned to research aspects concerning news and journalistic content. This included the function of journalism, effects of technology and how to consider quality and choice. Wilding, D & Molitorisz, S 2019, 'Digital Platforms: Why the ACCC's Proposals for Google and Facebook Matter Big Time', The Conversation. Wilding, D & Molitorisz, S 2019, 'The Law is Closing in on Facebook and the 'Digital Gangsters"', The Conversation. Wilding, D, Molitorisz, S, Meese, J & Fray, P 2019, 'Submission to Australian Competition and Consumer Commission, Digital Platforms Inquiry – Preliminary Report', ACCC, https://www.accc.gov.au/focus-areas/inquiries/digital-platforms-inquiry…. Wilding, D & Fray, P 2018, 'How ABC Chairman Justin Milne Compromised the Independence of the National Broadcaster', The Conversation. Wilding, D 2018, 'Defamation Laws Must Balance Protecting Reputations with Freedom of Expression', Guardian, Australia. Wilding, D 2016, 'The Scandal of 60 Minutes: No Broadcasting Standards, No Investigation'. Wilding, D 2016, 'The Briefcase: Does Australia's 'Most Exploitative Reality Show' Breach Broadcasting Rules? '.